London, City: Oracle Platinum Partner Inoapps (www.inoapps.com) has announced the launch of a new Enterprise Change division. The global practice will provide the company’s clients with both strategic and practical business change expertise to support their Oracle Cloud Journey. With Inoapps’ global presence in the UK, EMEA, APAC and the Americas, Inoapps’ clients can commission complex international projects, safe in the knowledge that a single highly experienced team coordinates them. Through its skilled global change agents, Inoapps will use its proven customer delivery expertise and innovative change methodology to deliver ‘right first time’ customer outcomes. 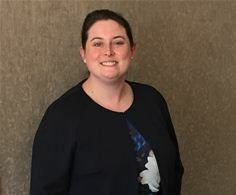 Heading up the new division is Victoria Briggs who joins Inoapps from the Methods Group, which specialises in Digital Transformation. Vicky headed up Methods’ Enterprise operation with a specific focus on modernization and transformation of corporate services underpinned by ERP solutions. In just 3 years she rose from Associate to Managing Director. During her varied career, in the digital transformation arena, she supported organisations such as The Law Society, Herefordshire County Council, Royal London Insurance, West Suffolk Shared Service, UK Atomic Energy Authority and Gemserv with their corporate transformation initiatives. For her part Victoria welcomed Andy Bird’s comment adding, “Initially, many organisations do not understand the complexity involved with change management and they often find that there is only a limited range of options available for independent advice. This is especially true where ‘change’ involves a global dimension. That’s where Inoapps’ new Enterprise Change Practice can help, as we take away the pain involved and ensure that the project moves smoothly at all stages and across international borders where required. We have designed our service offerings to reduce this complexity from a customer perspective, taking over management and delivery responsibility of key customer deliverables.